Hola all you creative so and so's out there! So this week I decided to do a DIY nail post. It's coming up to the end of January, we're all still pretty broke and, if you're anything like me, want some fresh and funky nails. These are super easy to do, won't take much of your time and look really good if you do them properly. Once again you don't need to go out and buy anything for this - most of you will already have the products needed lying around at home. Some spirit/alcohol, newspaper, light nail polish & a clear top coat. On this occasion I used Bombay Sapphire Dry Gin however any other spirit works just as well - this is just what I had lying around my house! 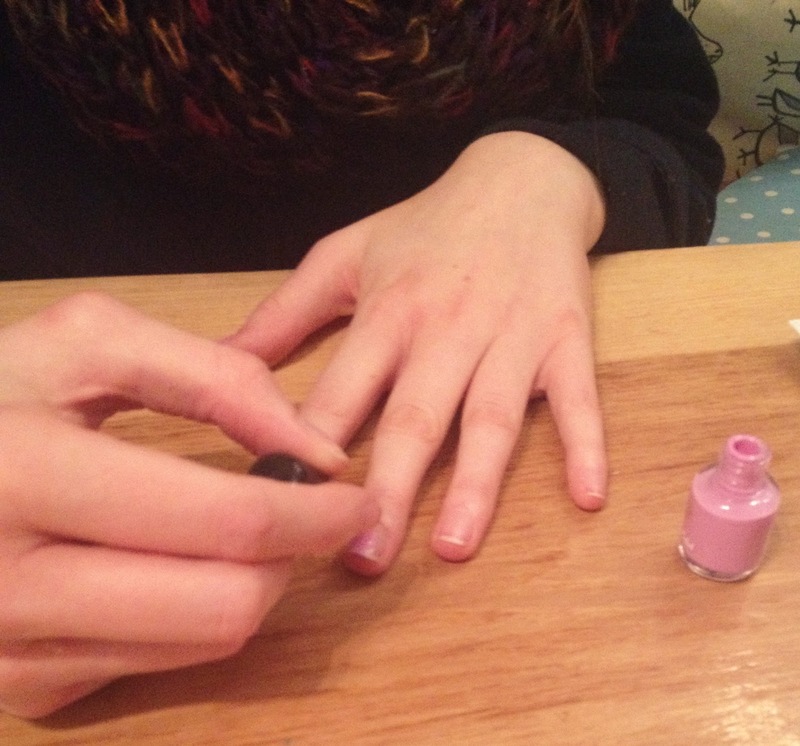 Firstly, paint your nails. 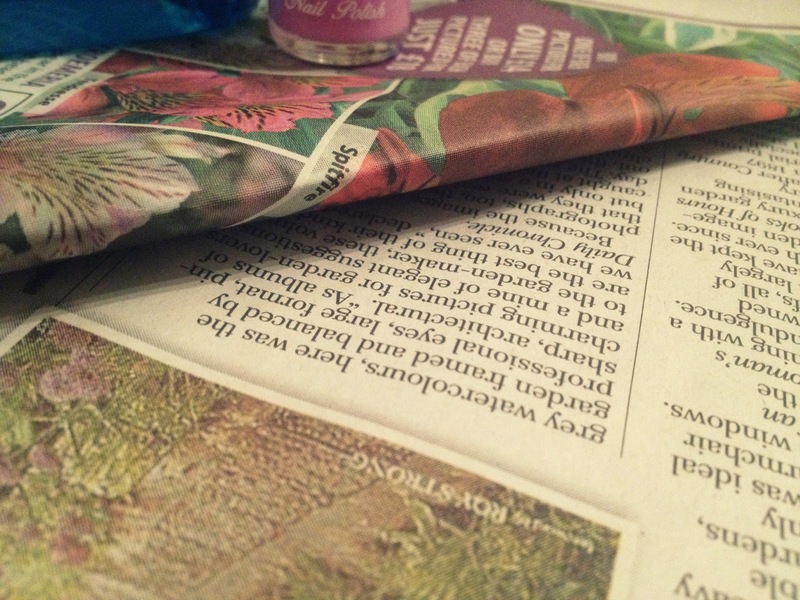 Make sure that you use a light-coloured nail varnish as the newspaper effect does not work as well on darker colours. Pastels and whites are perfect! Once your nails have fully dried (no smudges allowed! 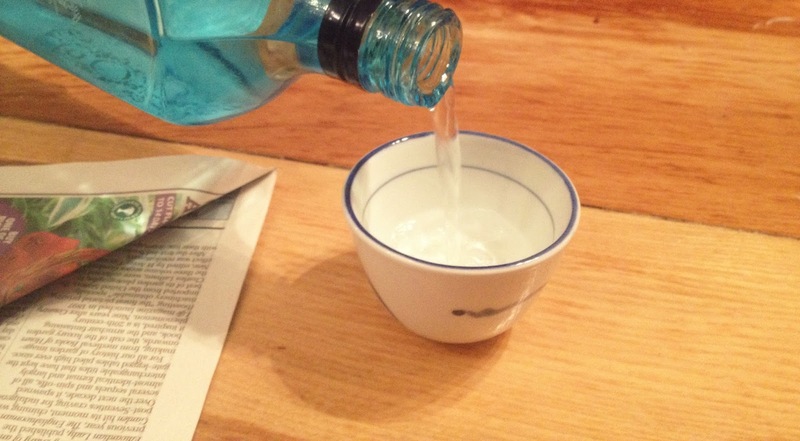 ), pour a small amount of your alcohol into a little bowl or container. The cap of the bottle works perfectly if you do not have anything else. 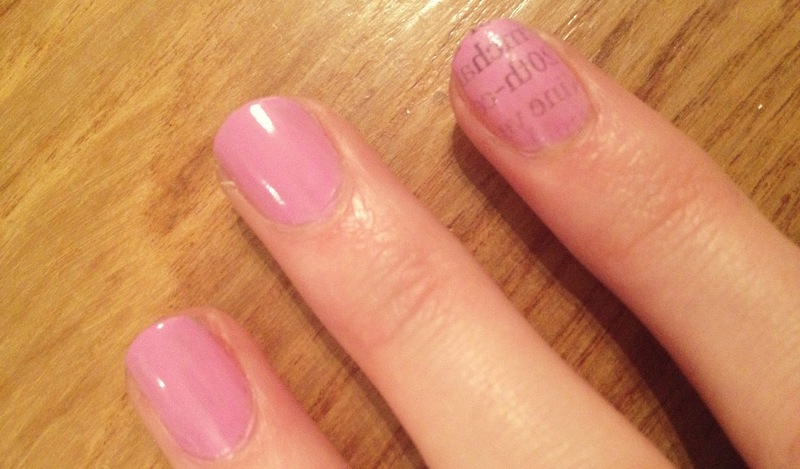 Then rip off a section of newspaper that you would like to transfer onto your nails. 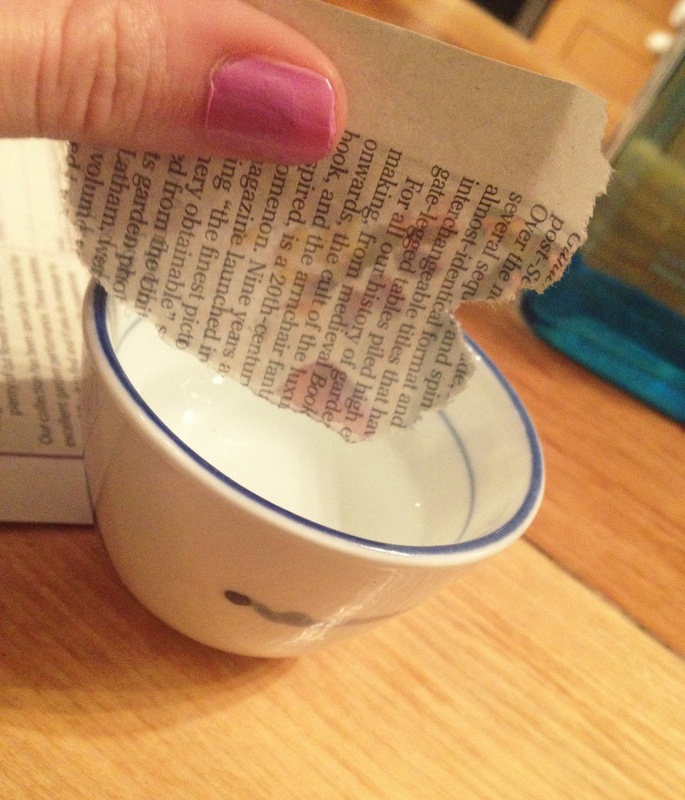 Dip the section of newspaper into the alcohol and let it soak for 3-5 seconds until saturated. 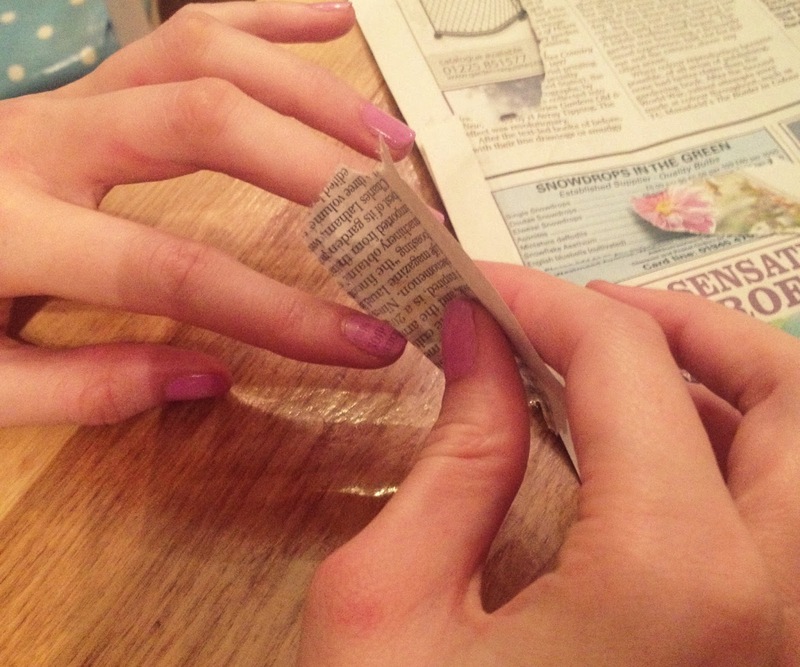 Then press the newspaper onto your nail and hold in place while applying pressure. It's a little bit like putting on a transferable tattoo! Press the newspaper firmly onto the nail for 10-15 seconds. 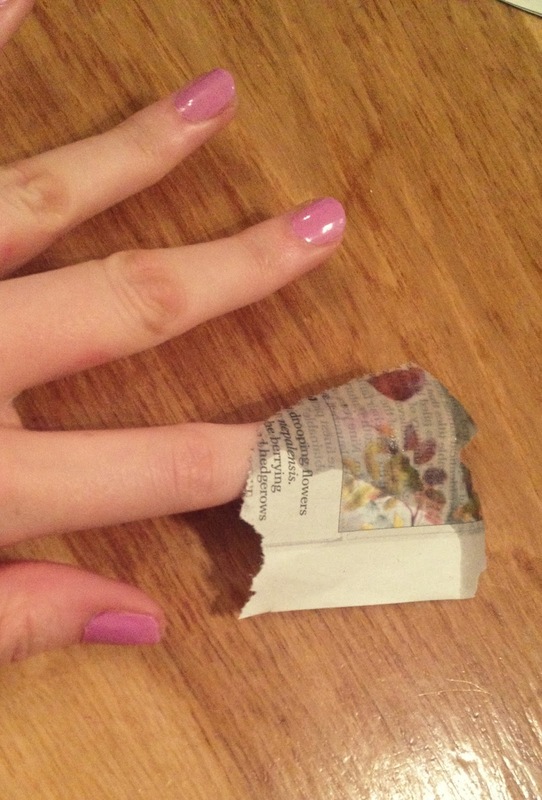 Carefully peel the newspaper off your nail. 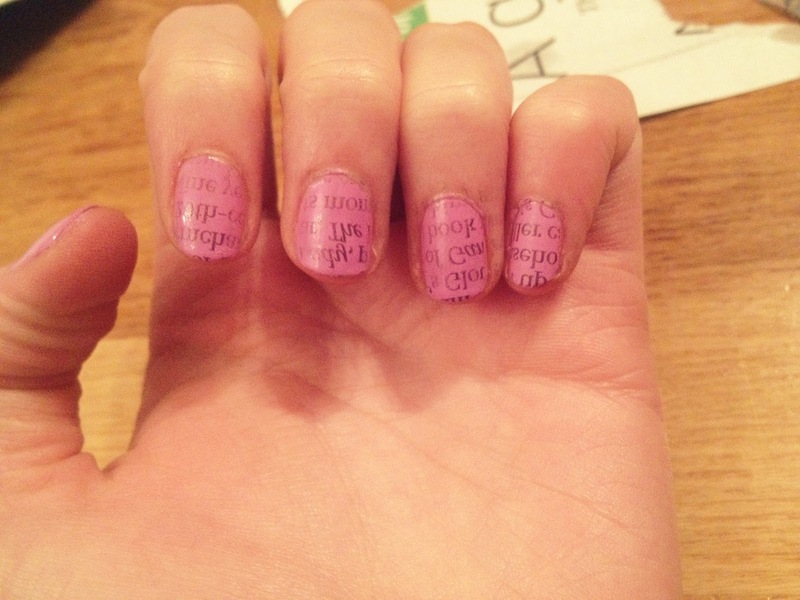 The text should have transferred easily onto your nail! Make sure you are extra careful when repeating this on the rest of your nails. 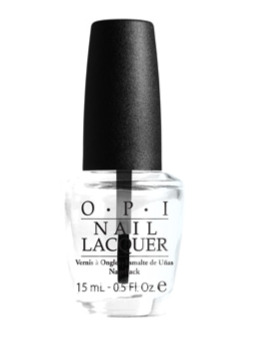 The text rubs off easily so be sure to secure this look with a clear top coat. I forgot to take pictures for this part of the tutorial but it's really easy - just paint over nails with a clear top coat for shine and protection. ...and voilà! You now have some pretty funky nails. This is super easy to do and a great money-saver. Considering getting your nails done at the salon? Stay at home and do them yourself for a fraction of the price. I'd love to see how you guys get on with this! OMGosh! Thank you so much for sharing this! I've seen this on Pinterest before but the instructions were too confusing lol. You provide clean and clear instructions with uber helpful photos! I cannot wait to try this DIY beauty find. Pinning this! Thanks so much! It's really easy isn't it?! I always love it when people say they are going to try my DIY's out for themselves - I'd love to see your results! Thank you - it's really easy to do. I'd love to see how you get on with doing it. Haha yes it's super easy so worth a try! Wow this looks amazing. It looks pretty simple to do as well which is fab! 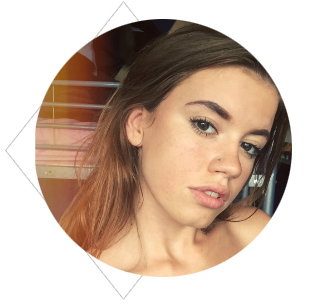 Hello my lovely, thank you so much! :) I definitely will. This is possibly the craziest idea for nail art ever. I LOVE IT! Ahh this is amazing! 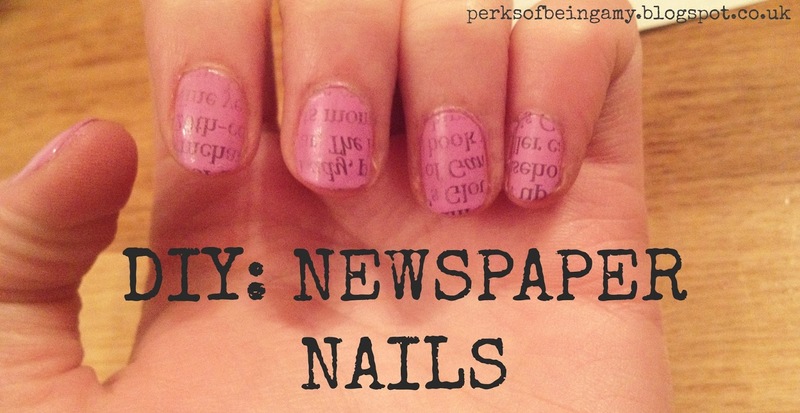 Definitely going to try newsprint nails for work - haha I'm a journalist so they'd be perfect!